Thanks for checking out our resources page. Below you will find a multitude of links to websites for products or online stores that we have found useful. For ease it is broken up into two categories, homesteading links, and homeschooling links; and of course there is some cross over so a link may be double listed. Some of these links may be affiliate links – which means we get a small percentage of your purchase, at no cost to you – these links have been denoted with an asterisk. And what would a resources page be with out our Amazon link? 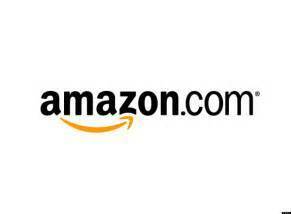 Almost everyone uses Amazon, so please bookmark that link and use it. It would really help us out a ton. And if you have any questions, don’t hesitate to ask! Good View Quarter Seeds and Other Homestead Products – Yes, this is our website, but hey, we have seeds that we keep and want to share with the world. Help us out! The Livestock Conservancy – Great resource on different animal breeds and their conservation status with an emphasis on heirloom varieties. National Center for Home Food Preservation – This website probably gets the most traffic from my personal usage than any other resource on this page. Their canning section is deep and has proper canning techniques and cook times for virtually anything – a must for safe food preservation. Raddish Kids – A subscription box focused on cooking that we reviewed here. Definitely not our favorite box. Too much gimmicky stuff for our liking, and nothing you really can’t do without an internet connection and some insight. Though, their website is loaded with excellent free lesson plan materials.